At the Tropic Breeze Hotel you can laze in the sun by our swimming pool overlooking the Caribbean Sea and the beautiful Grenadine Islands. Miles of white coral sand beaches invite you to swim in the sparkling Atlantic or sail in turquoise Caribbean waters. 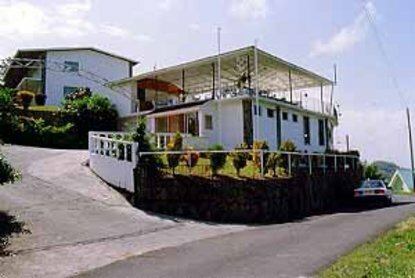 Tropic Breeze and its sister hotel, Wallilabou Anchorage, are ideal bases to explore the diverse attractions of St. Vincent and the Grenadines. Tropic Breeze offers 12 double rooms with spacious balconies, private bathrooms, telephones and TV. There is a large freshwater swimming pool near the hotel's two restaurants and bars, and room service and laundry service is available. You can relax after a fascinating day, while your room provides a cool, welcome respite, with balconies that give you an exquisite ocean view of the Grenadines. So let our crystal clear ocean waves and gentle sea breezes relax you and make your dreams become a reality. Complimentary welcome drink, beach towels, chaises and flowers.